There are two notable updates in this week’s blog. First, The U.S. Food and Drug Administration’s (FDA) Advisory Committee decided that it could not recommend approval of Amyvid™ (florbetapir) at this time based on the currently available data (13-3); but, voted unanimously (16-0) to recommend approval of Amyvid conditional on specialized training being instituted for the medical professionals who would administer it. They must train readers in a consistent technique, and then re-evaluate florbetapir scans from both a recent phase III and a previous phase II clinical trial. Amyvid is one of the imaging compounds that allows amyloid to be visualized using PET imaging. It is expected that this training will be formalized, and FDA approval granted by the end of this year. As a follow up to last week’s blog about recent developments in blood markers for AD, Kristine Yaffe and colleagues at UCSF published an article in JAMA this week in which they report on a new blood test that predicts subsequent cognitive decline. In the study, they took baseline plasma samples from nearly 1,000 elderly normal volunteers and then followed the participants for nine years, regularly measuring their cognitive performance. Unlike similar previous studies, Yaffe and colleagues looked at cognitive decline rather than conversion to Alzheimer’s disease. They found that a low ratio of two forms of beta-amyloid at baseline correlated with a greater drop in cognition over the duration of the study. Intriguingly, this association was strongest in participants with low levels of education, and much weaker in subjects with more education. This is in accord with the long-standing view that a person’s cognitive reserve can protect against cognitive decline. If the result proves robust in future studies, it may lead to further development of blood tests to monitor for Alzheimer’s. Yaffe K, Weston A, Graff-Radford NR, Satterfield S, Simonsick EM, Younkin SG, Younkin LH, Kuller L, Ayonayon HN, Ding J, Harris TB. Association of plasma beta-amyloid level and cognitive reserve with subsequent cognitive decline. JAMA. 2011 Jan 19;305(3):261-6. Thanks for an informative post! 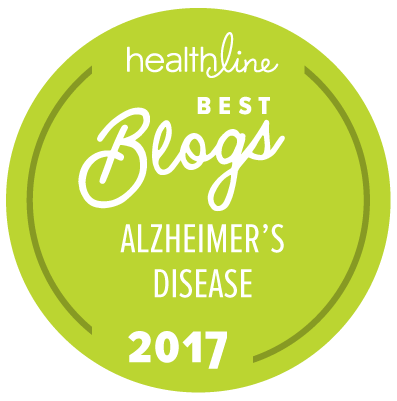 Hoping for another update on Alzheimer's disease.